Between September and October of this year, Wellable hosted the Step It Up Challenge for biotechnology and life sciences companies in the Commonwealth of Massachusetts. The four-week step challenge had seven companies compete for ultimate bragging rights and gift cards. At the end of the challenge, which consisted of 458 participants, Wellable issued a user survey. The results were interesting and impressive so we thought we would share some of the findings with you. This question provides context on the number of individuals that started tracking their activity with technology as a result of the program, and as we know from research, activity trackers can improve health when people actually use them. An often misconception about wellness challenges is that participants are limited to individuals who already track their health. In this challenge, almost 40% of respondents never used or were not actively using consumer wellness technologies to track their activity prior to the challenge. This is a significant number of individuals who gained awareness and started using these solutions in their daily lives. 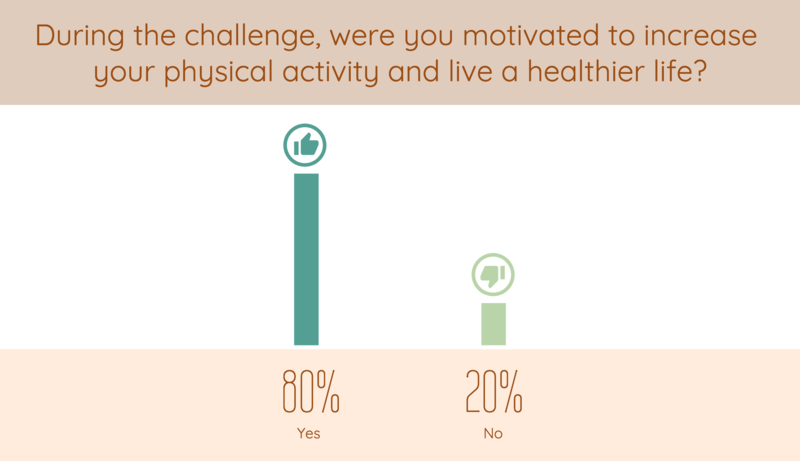 This question is an extension of the prior survey question and is designed to measure the lasting impact of the challenge on personal activity tracking. 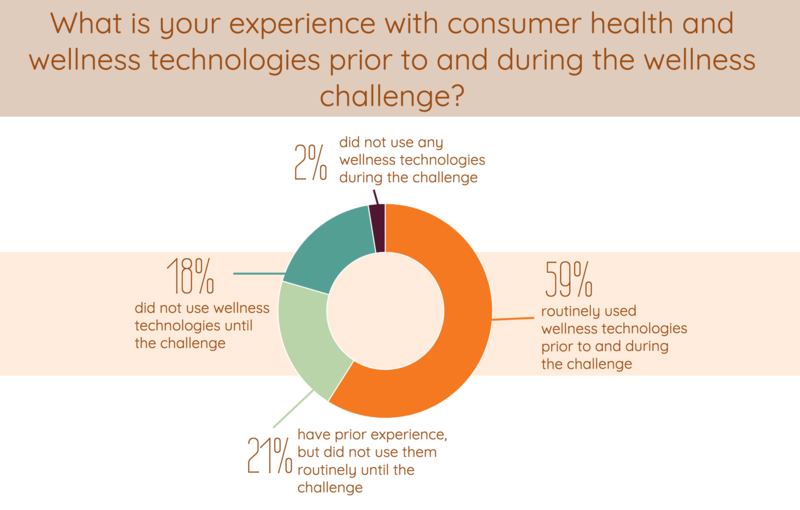 Approximately 90% of respondents were likely or very likely to continue using consumer wellness technologies after the challenge. This dispels another common misconception that suggests challenges have a short-term impact. That being said, our experience suggests that engagement does slowly attrition off, which is why running periodic challenges can serve as a boost to keep sustainable engagement high. This metric speaks for itself. Employees want to know that their employer cares for them. Employers should also be concerned that employees perceive them as “caring” because “caring” companies have employees that thrive. Offering programs that motivate healthier living is a great way for employers to show that they care. “Integration with existing wearable technologies was very easy and seamless. The participants in the Step It Up Challenge obviously had a blast! Are you ready to achieve the same for your organization?